According to audio experts, the best Bluetooth headphones come down to a few core concepts. They should feel good to wear, be easy to carry and use, and fun to listen to. After testing 20 popular models, we found four pairs outperformed their competitors. The first thing that comes to mind when looking for headphones is sound quality. But after speaking with experts, we learned that the most important consideration is actually comfort. As audio expert Børge Strand-Bergesen explained, the average listener should “think of headphones as a lifestyle and convenience investment.” It’s more important to choose headphones based on when and where you want to wear them. 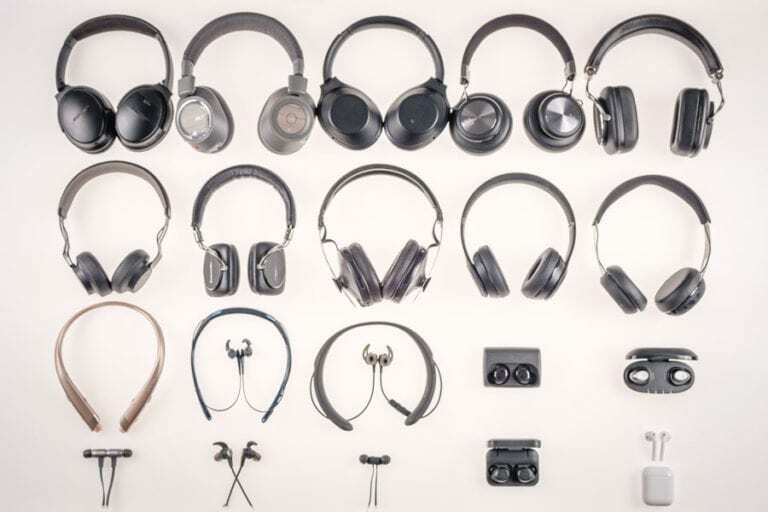 To find pairs we’d be happy wearing anywhere and anytime, we gathered 10 volunteers to test out 20 highly celebrated headphones over the course of a week. 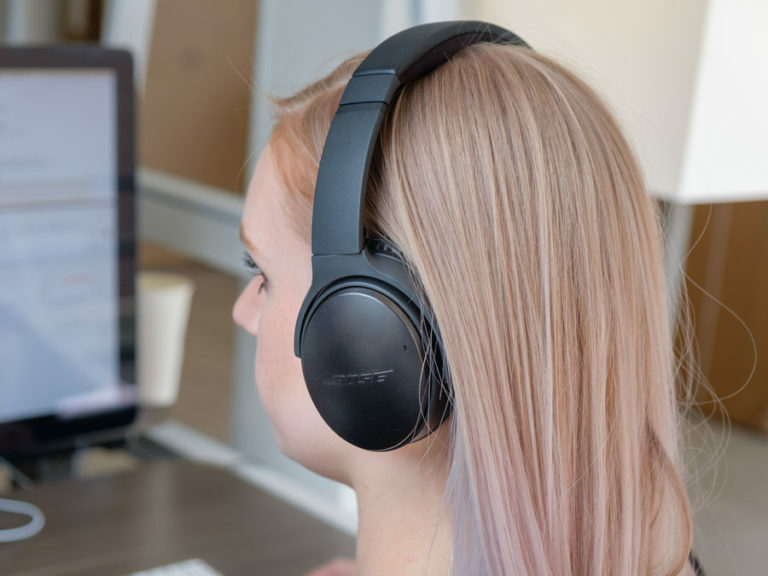 We asked our testers to wear each pair of headphones for at least 30 minutes — we took note when our testers took a pair off early or wore a pair longer. We also checked to see if the headphones stayed on our heads or in our ears without needing constant adjustment. While our experts advised us to focus on comfort rather than getting lost in the details of critical listening, the best Bluetooth headphones still need to sound good. We listened to each pair of headphones multiple times and directly compared each pair to see if anything sounded off while talking on the phone, watching videos, or listening to podcasts and music. We also conducted tests in the bustle of the streets, buzz of the office, and peace of our homes to make sure they perform consistently no matter where you are. As a final step, we compared our notes with headphone measurements from tech sites like Inner Fidelity and Rtings that use testing rigs and charts to evaluate sound quality for objectivity. We’re happy to report that our testing notes corroborate their findings. Aside from comfort and sound quality, audio expert Dan Wiggins told us that one of the most important things to consider is functionality. Put simply, the best headphones shouldn’t just feel or sound good, they should feel great to use. So, we also looked for design choices and useful features we’d be thankful for as everyday listeners. 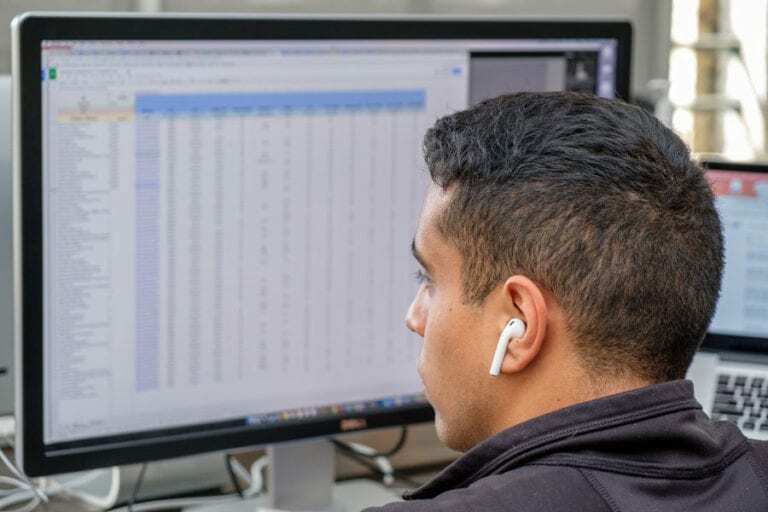 Our testers evaluated features and usability down to the last detail — we compared battery life, the ease of repairing headphones, and even how intuitive the power and volume buttons felt to use. A comfortable pair of workhorse headphones with incredible sound. The Bose QuietComfort 35 cleared our musical bar of expectations with flying colors — and they were hands-down the most comfortable to wear. Our testers agreed that the Bose “were snug enough to stay on, but not too tight that they would hurt long term.” Others, like the Bowers & Wilkins P7, sounded great, but had headbands that felt too tight. The Bose QuietComfort 35's earcups (left) offer more interior room than either the Sony MDR-1000X (middle) or BackBeat Pro 2 (right). Our testers all agreed the Bose headphones sound outstanding. Full disclosure: Sound charts describe the Bose as an above-average pair of headphones with some clarity issues in the treble range. Upon further listening, we noticed that high-pitched vocals or violins sounded filtered or fuzzy. That said, we had to focus intensely to pick up on it and didn’t notice anything when working, buying groceries, or relaxing at home. Even with critical testing, the famous bassline in Fleetwood Mac’s “The Chain” was a joy to listen to. Each pluck of the bass came through clear and built up to the crashing end of guitars and vocals fans love. In short, we felt the headphones did that classic and many other songs justice. As their name suggests, the QuietComfort 35 ii are also noise-canceling headphones. The feature has a reputation for hurting sound quality, but as we mentioned before, the headphones sound great. The noise canceling itself is exceptional, and in noisier areas, we’d even argue that it makes the headphones sound better than headphones without the feature. We also appreciate the no-nonsense design of the Bose. You can expect a 20-hour battery life, standard features like voice control for Siri and Google Assistant, and the ability to fold into a compact hard case for easy carrying. The Bose do provide the luxury of connecting to two devices. Switching between the two is as simple as hitting pause on one and play on the other. Listening to music on our laptops and being able to take calls is super convenient when our phones are out of reach. If we must nitpick, we’ll admit they’re a little boring in the looks department. Headphones today are also a style accessory, and we envied the sleek and stylish look of competing pairs. 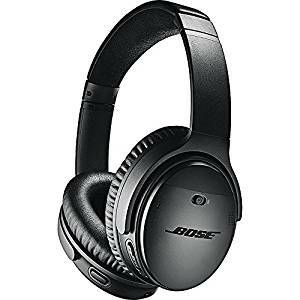 But, appearance does not make a good pair of headphones, and looks aside, the Bose QuietComfort 35 are a comfortable, convenient, and great-sounding pair of over-ear headphones. Great sound and comfort that won’t break the bank or crush your ears. 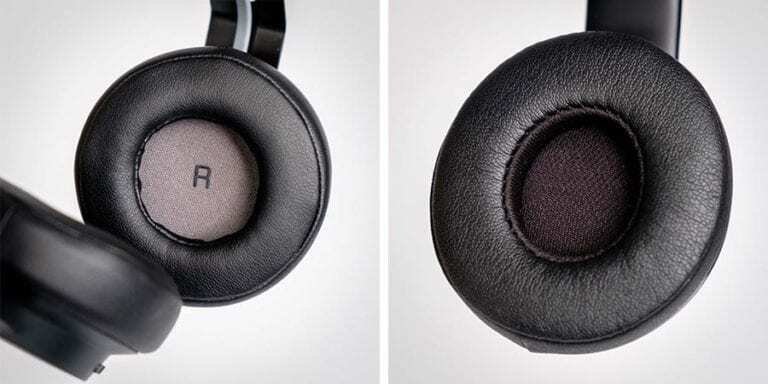 The sleek and light design of the Jabras means they sit on your ears without causing discomfort (as on-ears they don’t surround the ears like the Bose). 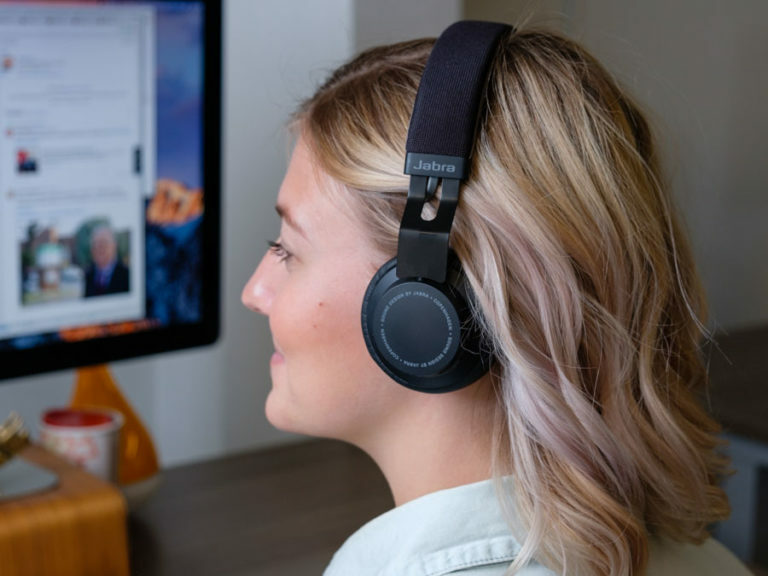 Competing headphones fit a bit more snugly, but our testers reported that that wasn’t necessarily a good thing — they couldn’t imagine wearing them during the summer or in mild weather. We were grateful for the pads on the Jabras which were soft and allowed more breathing room to keep our ears cool. In addition, adjusting the Jabra’s pads to find a good fit and seal was still quick, even for our testers who wore glasses. The lighter, more breathable padding on the Jabra Move's earcups (left) offered a more comfortable experience compared to competing on-ears like the Beats Solo 3 (right). With such a low price, we thought the Jabra might skimp on sound quality. Nope. The Jabra Move excel in sound quality, and listeners can expect tight bass, clear vocals, and crisp instruments. Cymbals got a bit rough on Pearl Jam’s “Immortality,” but the Jabra far exceeded our expectations in their consistency across genres. The Beats Solo 3 are the closest competitors with a heavier bass that adds depth. But charts show the Jabra have a fun bass boost of their own with almost no distortion, and we appreciated their clarity when listening to Freddie Mercury and his piano in Queen’s “Don’t Stop Me Now.” For the average listener who wants a more balanced pair of headphones with quality audio, the Jabra Move are the way to go. The Jabras have all the standard features you’d expect from Bluetooth headphones as well as the luxury of multipoint pairing. The headphones also last for a respectable 8 hours which may seem inferior to the longer battery lives of competitors. But competing headphones are far more expensive, and charging the Jabras is as easy as plugging in a micro-USB cable. Plus, they come with an audio cord so you can still listen if the batteries die. It’s a thoughtful inclusion that’s music to our ears. Literally. We’ll admit the Jabra Move aren’t perfect. One tester reported their ears got a little sore after wearing them for a full 30 of time. Since the headphones sit on the ears, they can’t avoid squeezing the sides of your head to at least some degree. 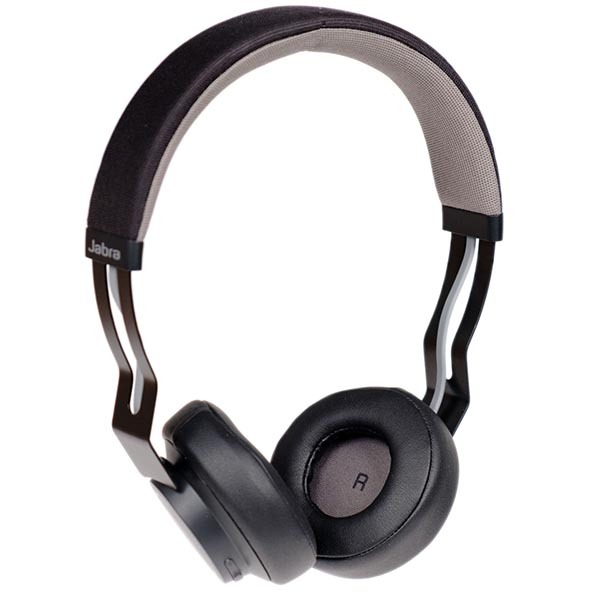 Compared to other options, though, the Jabra strike a better balance between a snug fit and a light touch. We’ll take a pleasant hug over a vise-like grip any day. A balanced pair of in-ear headphones that stay in place and sound great. The BeatsX are also incredibly well-balanced. The two weighted pieces on the flex-form cable ensure the headphones don’t droop to one side from the weight of the mic. This means that the wire and mic stay in place without needing constant adjustment. We had reservations about the Beats brand at first. At their initial release, many audio experts agreed that Beats headphones were more style than substance. But at first listen, we were pleasantly surprised — the tech has improved in its newer models. 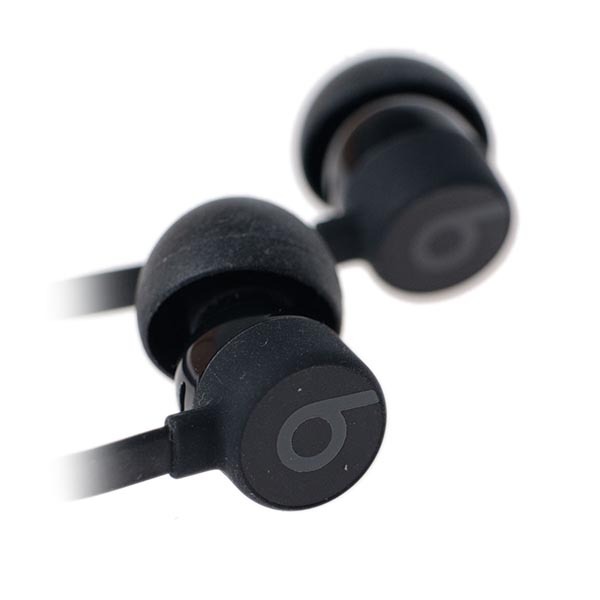 The BeatsX have tight bass and balanced midrange for smooth instrumentals. Sound charts suggest focused listeners may notice less clarity in vocals with some sharpness in cymbals. However, our testers didn’t notice it during general use and explained “bass levels sounded good, and sound did not distort or get shrill with max volume.” Compared to other pairs, the BeatsX also sounded better right out of the box and offered more consistent audio quality for phone calls and videos. The BeatsX battery lasted for 8 hours, and it only takes about 45 minutes to reach a full charge with a Lightning cable. You can also opt for the 5-minute quick charge that gives the headphones around 2 hours of playback time — we appreciate not having to go a workout or commute without music, because we forgot to charge the night before. The headphones offer standard features including easy pairing, but we love that the BeatsX remove the risk of getting stranded with a pair of dead headphones. As in-ears, the BeatsX are lightweight and secure enough to use for light or moderate exercise. However, they aren’t waterproof or sweat-proof, so for intense exercise a waterproof or sweat-proof pair of headphones may be a better match. Considering that in-ear headphones are a popular choice for athletics, the design choice is a little disappointing. But the BeatsX are still a good choice for jogging or a standard workout. A reliable pair with near perfect call quality and no wires. The earbuds are contoured to nicely fit most ears while keeping a low profile. One tester noted: “They were so comfortable I forgot they were in my ears.” Even so, we were worried about the earbuds falling out, so we spent time trying to shake them out of our heads. To our relief, the headphones stayed in place even with more vigorous head movement. We recognize that there will always be a risk of losing an earpiece with true wireless headphones, but none of the headphones we tested fell out of our ears. We feel confident while using our AirPods for day-to-day activities like commuting. We learned from sound charts that the lower bass will sound slightly dull and the trebles can be harsh. 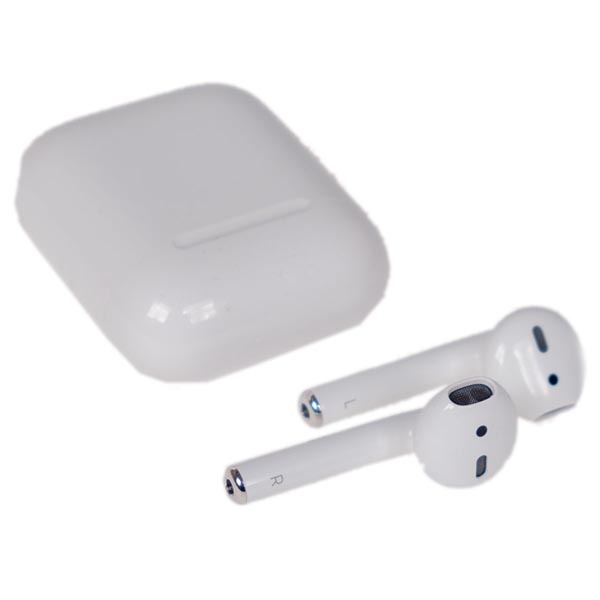 Sound will also leak due to the earbud design. But overall, the bass was decent and the sound was simply more reliable compared to other true wireless headphones. The most impressive aspect of the AirPods though is the call quality. We’d even go so far as to say that the AirPods offered better call quality than a lot of the headphones we tested regardless of style. The small charging case and 4- to 5-hour battery life make the AirPods the most portable out of the options we tested. Pairing the headphones is quick and painless, and our Bluetooth connection was strong and consistent. Out of all the headphones we tested, the AirPods were the easiest to carry around and listen to while on the go. Only Apple products can take advantage of the few features the AirPods have — like using Siri. For anyone who doesn’t use Apple products, t’s annoying. But we didn’t consider it a dealbreaker because they don’t have many unique features to begin with. The other pairs we tested were feature-packed, but also had bigger flaws and cost at least $90 more, which gave the AirPods the edge. Glasses can also interfere with the fit of headphones. Since over-ears and on-ears rest on the frame of your glasses, this could affect the comfort and quality of your seal. No worries though, you can still find a good fit, and we tested all of our headphones with at least one person who wears glasses. Most ear tips are made from silicone, rubber, or foam. Each has its trade-offs. 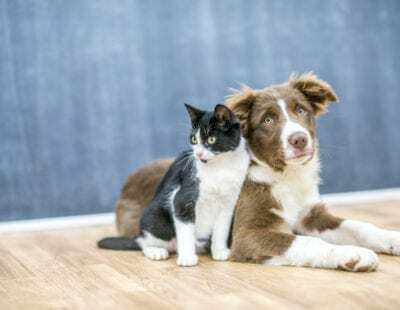 Foam tips are generally considered the most comfortable and effective at getting a quality seal because they’re better at molding to the ears. The downside is they are more expensive. If you’d like to try foam tips, we recommend the highly rated Comply foam tips. You can also attach ear hooks or wingtips to many earpieces to improve your fit. Custom tips provide the best fit out of all the options, but they can start at $150. Like headphone style, it really comes down to personal preference. Whatever is most comfortable for you will always be the best choice. Are Bluetooth headphones worth it? Bluetooth headphones are convenient to have if you like listening to music without having to worry about loose cords or wires. In addition, Bluetooth headphones are non-exclusive — they can pair to any device with Bluetooth, so you won’t have to worry about finding the right headphone cord or adaptor. Do Bluetooth headphones sound as good as wired? The short answer is it depends. High fidelity headphones that use wires are still the best sounding pairs on the market. These headphones are designed for audiophiles who will listen to music critically. For most others, Bluetooth headphones may actually provide better sound quality than their standard wired pairs. Plus, Bluetooth headphones are constantly improving and producing better sound quality. What is aptX and is it worth it? A few of our contenders, like the Bowers & Wilkins P7 and Beats Solo 3, advertise aptX and AAC support, respectively. But what does this technical jargon mean? In simple terms, aptX and AAC are more effective ways of compressing audio data compared to the well-known MP3 format. More effective compression means that less sound quality is lost. 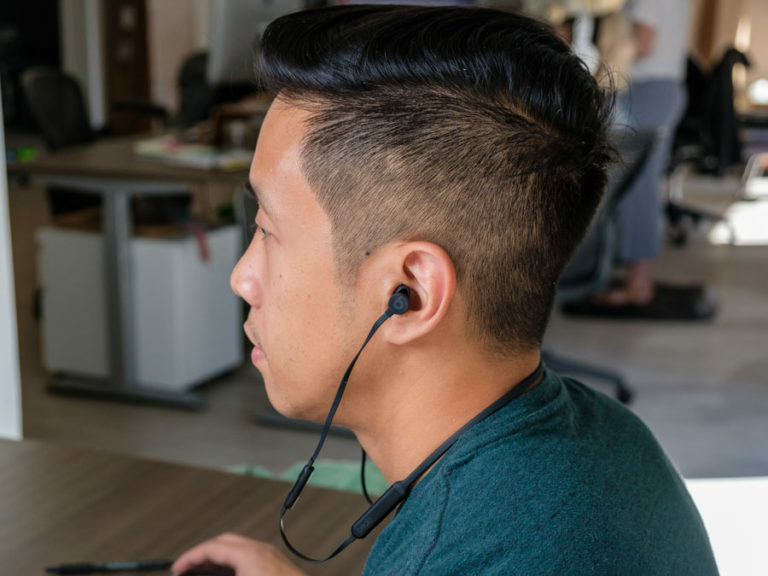 AAC is supported across a wide variety of phones and other audio equipment, while aptX is being pitched as improving sound quality on wireless devices in particular, like Bluetooth headphones. Both the headphones and audio devices must support AAC or aptX in order for you to get the benefits. Heads up, iPhones don’t support aptX but will support AAC. 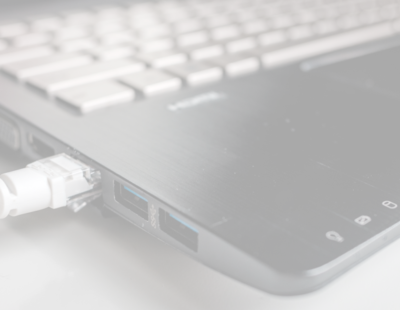 Do you need aptX or AAC? Not really. Our experts told us they will improve sound quality, but again, most listeners won’t be able to notice unless they sit down and focus. Sound quality also depends on other factors such as build quality and audio format. A pair of headphones could have aptX, but still sound worse than headphones without it.